USAV has added Vaddio to its Preferred Manufacturer Partner (PMP) lineup. Milestone AV Technologies’ Chief and Da-Lite brands are already USAV PMPs. Milestone’s acquisition of Vaddio this spring paved the way for creation of a Vaddio buying program and partnership, providing USAV integrators access to Vaddio PTZ cameras, pro AV solutions, and a full suite of unified communication and collaboration systems. Milestone is USAV’s 2016 Signature sponsor. Vaddio will join the Chief and Da-Lite brands in this top sponsorship position helping to support USAV programs and events throughout the year, such as the second-annual USAV Fourteeners Trip to Mexico in April and the upcoming USAV NexGen Leadership Conference in Westminster, CO September 6-8, 2016. 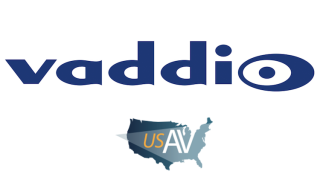 “We are excited for Vaddio to be added as a USAV Preferred Manufacturer Partner," said Kent Cawthorne, vice president of U.S. sales for the Vaddio brand. "Joining brands Chief and Da-lite, we are looking forward to expanding an already-successful partnership with USAV by delivering our industry-leading live production and collaboration solutions to USAV integrators." In assuring that Milestone continues to provide a high level of support to USAV directly and to its members, Mitch Golden, director of sales for Da-Lite, will be taking on the role of managing this important partnership for all three Milestone brands. Golden has been with Milestone for approximately eight years, has a background with both the Chief and Da-Lite brands, as well as experience in managing USAV in the past. USAV selects only a limited number of best-of-breed PMPs in each product category, often just a single leading partner. Manufacturers are chosen based on a three-step process that includes application, approval by USAV’s dealer advisory council, and an affirmation by USAV Integrators.